One of the top events on the Croatian festival scene this year (and all preceding years!) is the excellent Soundwave Festival. Although the event will be celebrating its 10th birthday this year, sadly 2018 will also see the very last Soundwave Festival take place. But don’t be too sad – instead, snap up some tickets and join the party to say farewell to Soundwave! Concluding what has been an epic odyssey on its tenth birthday – making it one of the longest running festivals in Croatia – the sublime Soundwave has very much always taken its own adventurous path, staying true to its original roots built across a beautifully diverse music spectrum whilst weaving a mesmeric holiday and festival into a glorious weekend. 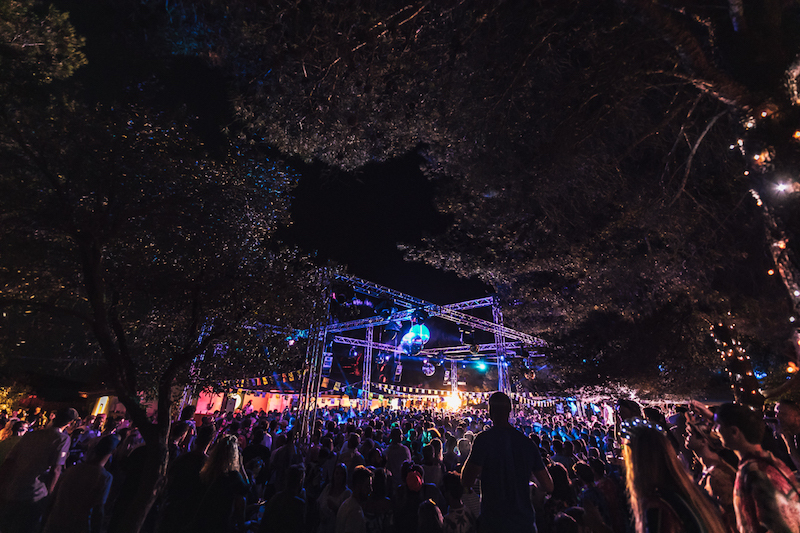 The last Soundwave is an opportunity to return to the idyllic Dalmatian coastline one more time and savour some of the world’s finest live artists and DJs from across broken beat, reggae, afro, acid jazz, hip-hop, soul, funk, drum and bass and much more. 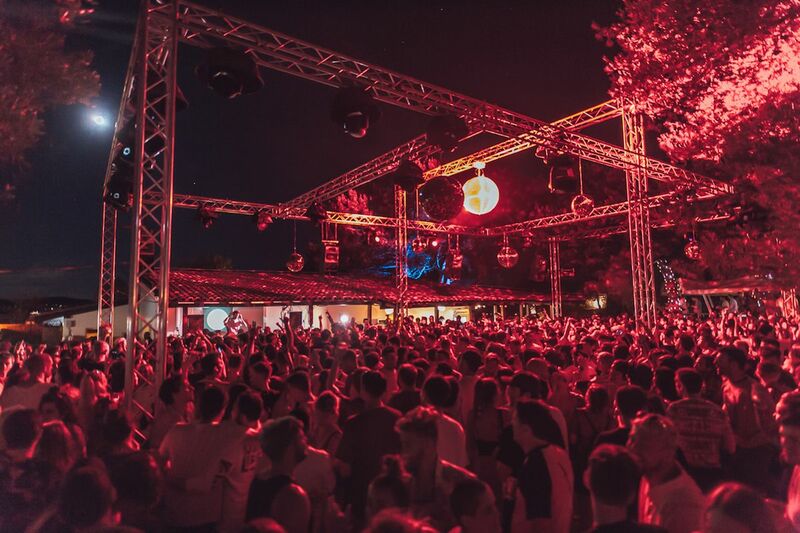 Here we have an interview with Soundwave Festival co-founder, Noah Ball, to discuss the reason behind calling time on Soundwave, what drew them to start a festival in Croatia in the first place, and what they’ve experienced in those ten years in Croatia. 1. We’re so sad to hear next year will be the last ever Soundwave! What was behind the decision for calling time on the festival? It is sad isn’t it! 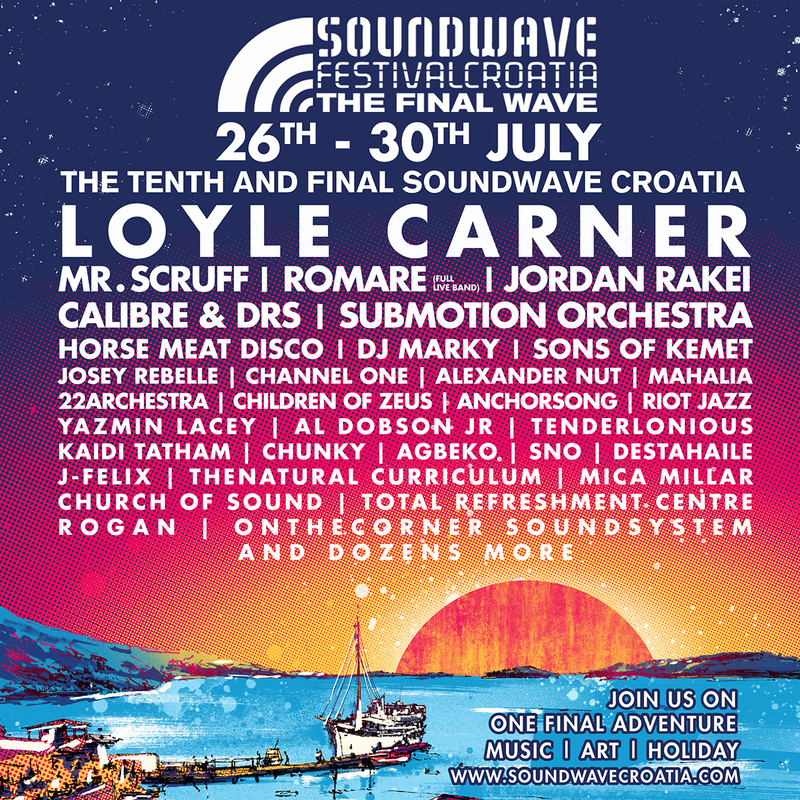 We’ve had the most amazing ten years out in Croatia and it’s been a dream come true to see Soundwave grow, exceeding all expectations in the process. I think anyone who has ever attended the festival, ourselves included, look back on it with very fond memories and this is the main reason that we’ve decided to make the tenth event the final one. There is always a temptation to keep pushing these things once you have built them up over such a long period of time and invested too much into them. We imagine it’s like a child you who have bought up and invested huge amounts of love, time and money into – once they reach a certain age and are ready to leave home, you don’t want to see them go! But Soundwave has been so special, so it would be criminal of us to squeeze everything out of it and be left with something only half as special as it once was. Instead, we feel it’s time to say farewell and keep those amazingly fond memories., and to finish on what is going to be an amazing high. 2. Can you share any highlights (we’re sure there will be many!) that will be taking place at Soundwave in 2018? We won’t be doing anything too different for the final Soundwave as we’ve had a winning formula since day one – lovely people, lovely music and a lovely location – we’ll have this in abundance again this year. One thing that will be very special, is seeing both the original Soundwaver’s (the ones who were there 10 years ago who have many more responsibilities these days!) come back and join the new wave of soul music lovers. We’ve always had a fairly diverse age group, but this year it’s going to be the broadest, which in our opinion makes for a pretty special event! 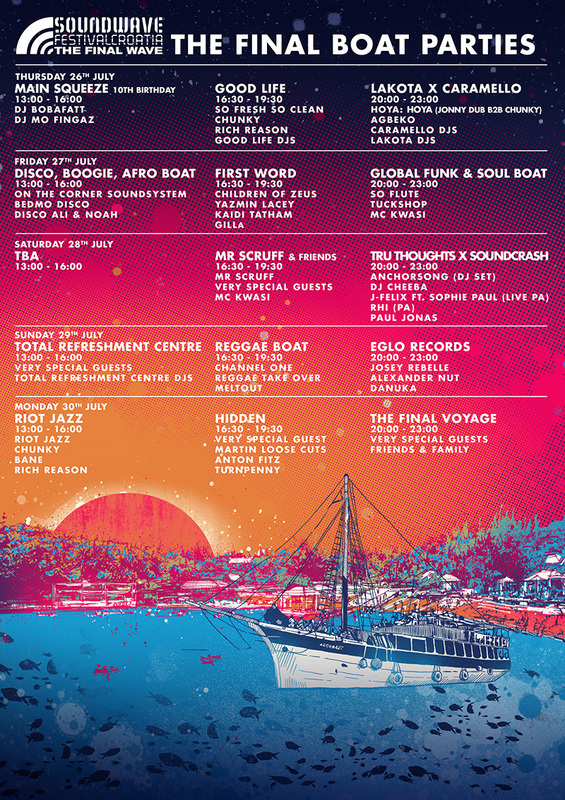 As always, we’ll have those idyllic boat parties and the hedonistic late night after parties at Barbarella’s which are always stand out moments, and having recently finished booking in the full line up, we anticipate a few performances being big highlights – especially from Loyle Carner, Submotion, Riot Jazz, Jordan Rakei, Calibre, Scruff, Marky… the list goes on! 3. The boat parties! 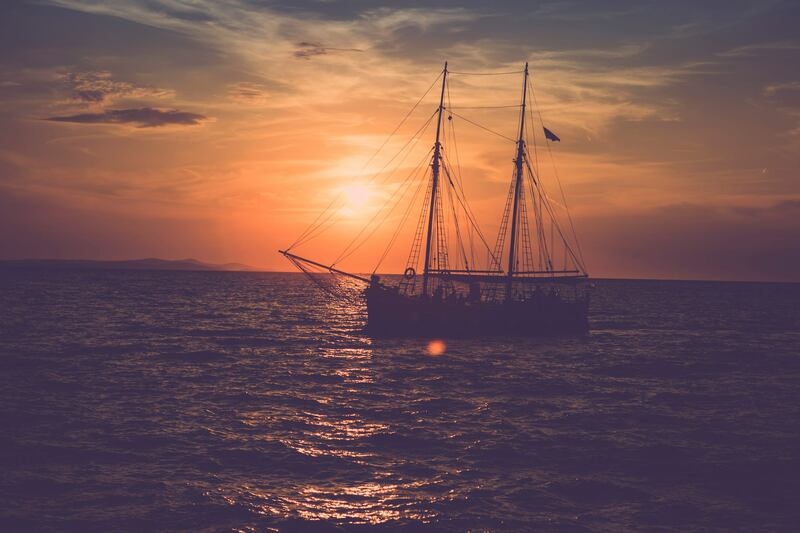 What stories can you tell us from the boat parties? 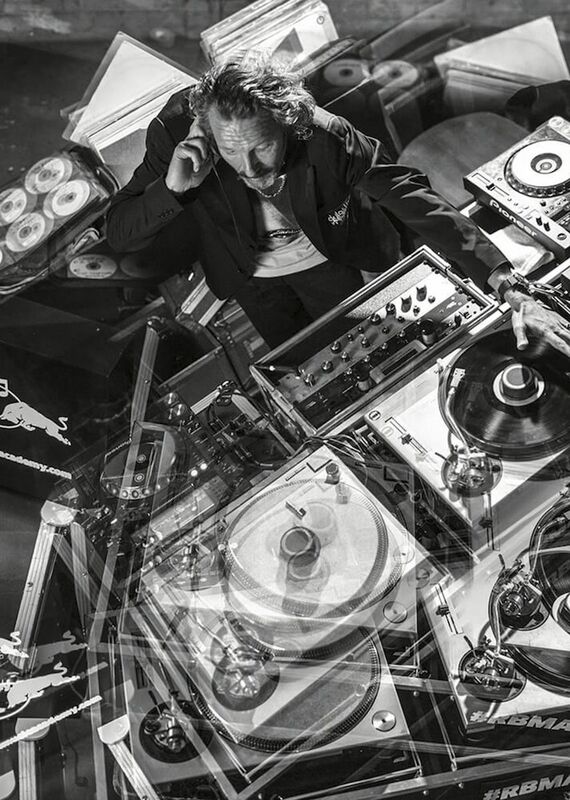 Over the years we’ve had some incredible DJs play on the boats including Mr. Scruff, Channel One Sound System, Bonobo & Craig Charles, but occasionally we also manage to cram on bands such as Riot Jazz and Quantic and his Combo Barbaro. These ones were pretty special as you can imagine! 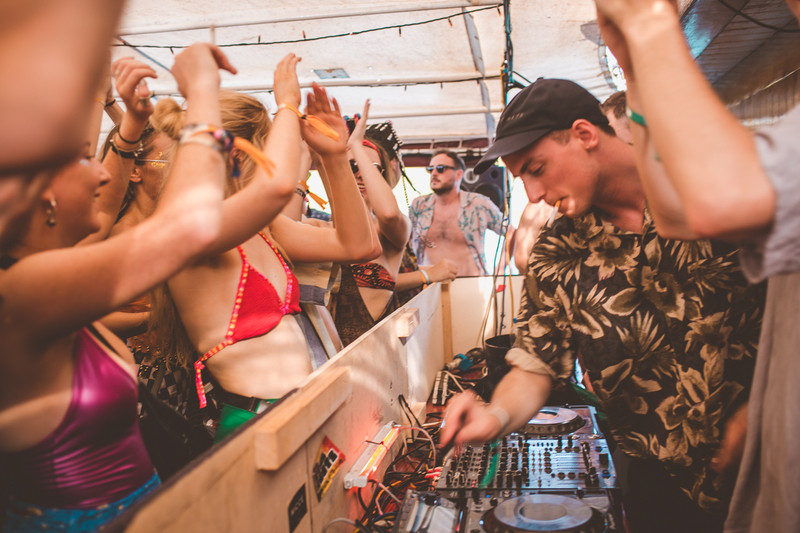 The boat parties are an essential part of any visit and really help form a big part of the festival’s experience. 4. 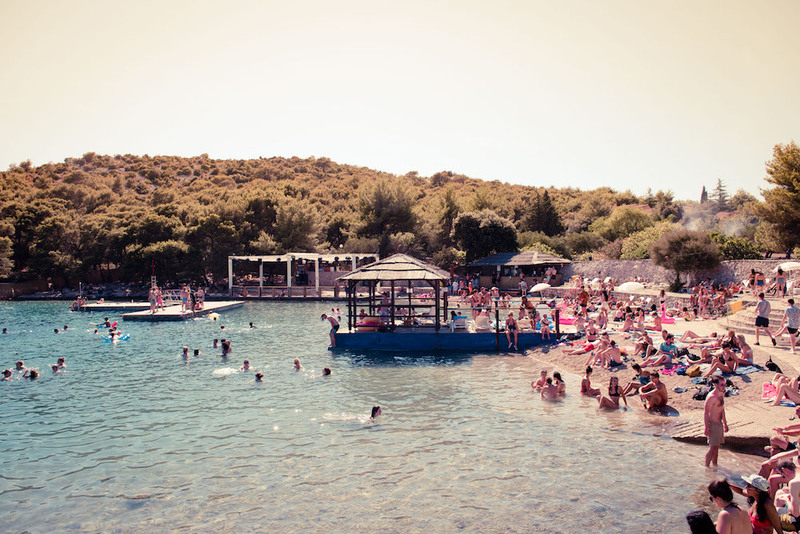 What are the differences between the festival site today in Tisno, and the site (in Petrcane) where Soundwave was first held? Both are magnificent locations. Petrcane was a beautiful place, but The Garden is perfectly suited for Soundwave. It’s located far away enough from residential areas that we don’t have to worry about sound limitations (something that we experience at Petrance) and is bigger than Petrcane, so we can get more people on site, plus there are nice places to eat, drink and stay in. The Garden boasts a beach unlike Petrcane, which has become a key area of the festival and is where most people like to relax during the mornings and early afternoons before they reach party mode. It’s pretty idyllic and the water is crystal clear and a perfect remedy for those sore heads. 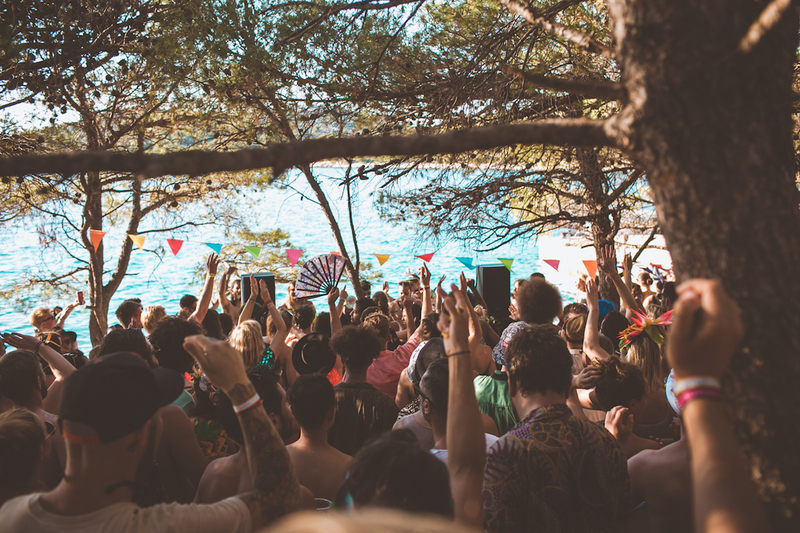 We’ve had great times at both venues, but it’s right that we enjoy the final ever Soundwave at our home of recent years, The Garden in Tisno. 5. 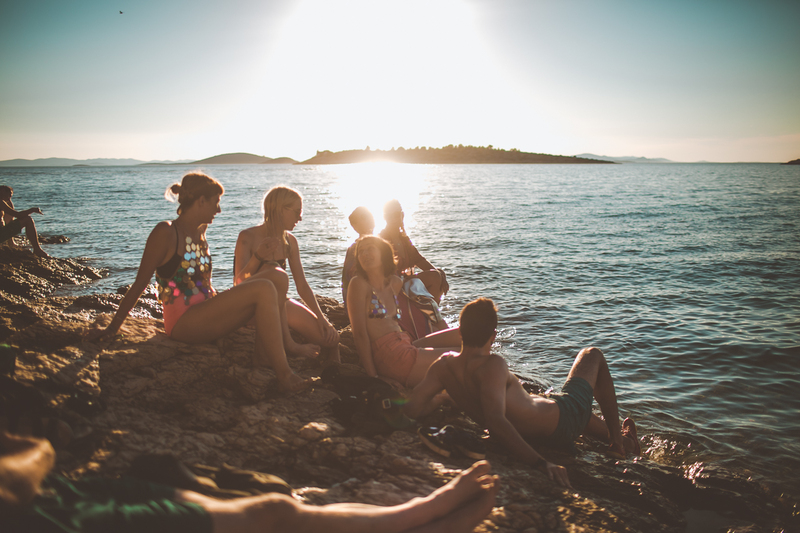 What drew you to head to Croatia to start running a festival? I was asked by the owner of The Garden (who was leasing the site at in Petrcane at the time) if I would like to put something on there which was more of a mellow vibe than the other festivals happening at the site. 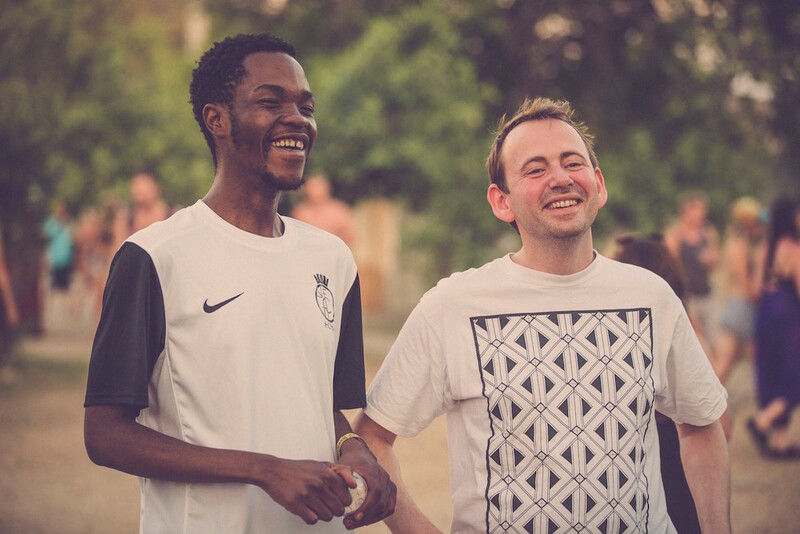 Both myself and Rob Waller (Soundcrash) were regularly booking soul, hip hop and jazz artists such as of Bonobo, Cinematic Orchestra, Mr Scruff and more for our respective parties in the UK, so we got our heads together and came up with Soundwave. We haven’t looked back since the first event, and it has run all the way through to the 10th anniversary this summer. 6. How does running a festival in Croatia today (in 2018) compare to when you started out? Things are more organised – back in the day we’d be driving up and down Croatia picking up artists from various airports miles away from each other! There’s obviously a lot more competition and choice – there are lots of festivals here now through the summer. We have got a lot more of experience now which helps in the general running of Soundwave, every year things get easier. And it is still exciting when you put the line up together and see it build up over the year, especially as this is the last one! Croatia is a beautiful place and attracts great music minded people, it is hard to imagine this being anywhere else. 7. How does it compare running three different festivals in the country, in two quite different locations (The Garden Tisno, and Fort Punta Christo near Pula)? It’s interesting as Tisno is a much smaller place than Pula and the size of the festivals reflect this. Soundwave is 2,500 people vs. Outlook and Dimensions which are 15,000 & 10,000 respectively. It’s nice to experience both – Outlook and Dimensions are bigger productions so you see huge international acts play to huge audiences which is always spectacular. Soundwave is special in different ways as you get to see amazing artists and bands play in a beautifully intimate setting to a couple of thousand people, so they are very different experiences. Tickets cost £129 for 5 days (club and boat parties are extra) and can be purchased at www.soundwavecroatia.com. Artists revealed include Loyle Carner, Mr Scruff, Romare (full live band), Jordan Rakei, Calibre, Submotion Orchestra, Horse Meat Disco, DJ Marky, Sons of Kemet, Channel One, Josey Rebelle, Alexander Nut, Mahalia, 22archestra, Children Of Zeus, Anchorsong, Riot Jazz, Yazmin Lacey, Al Dobson JR, Tenderlonious, Kaidi Tatham, Chunky and many more. For more details on the line-up, please see: Soundwave 2018 Line-up Announcement in Full. 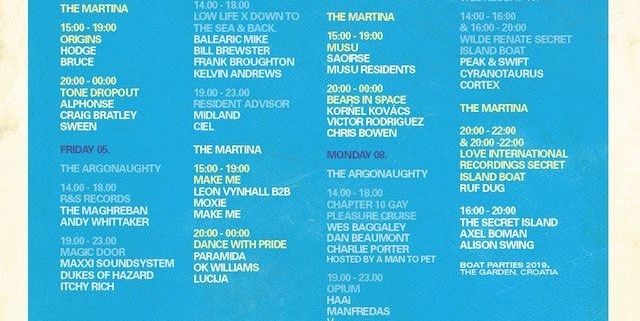 And don’t forget to check out who’s playing when at the legendary boat parties! 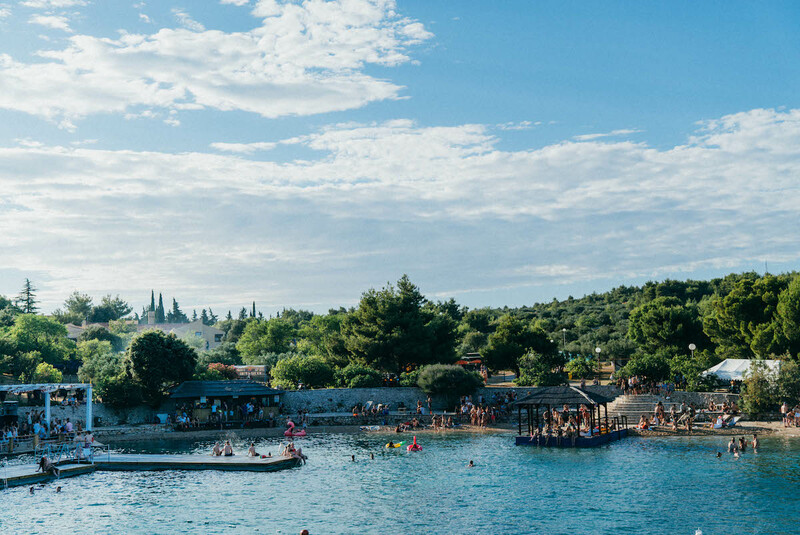 As many of you know, this year will see the last ever Soundwave Festival take place in the beautiful Tisno on the Croatian coast. Held from 26th to 30th July 2018, we’re sure the final festival – also its tenth event – will pull off some amazing days and nights of music and partying. And this week, exciting details of the all important boat parties were excitingly announced! 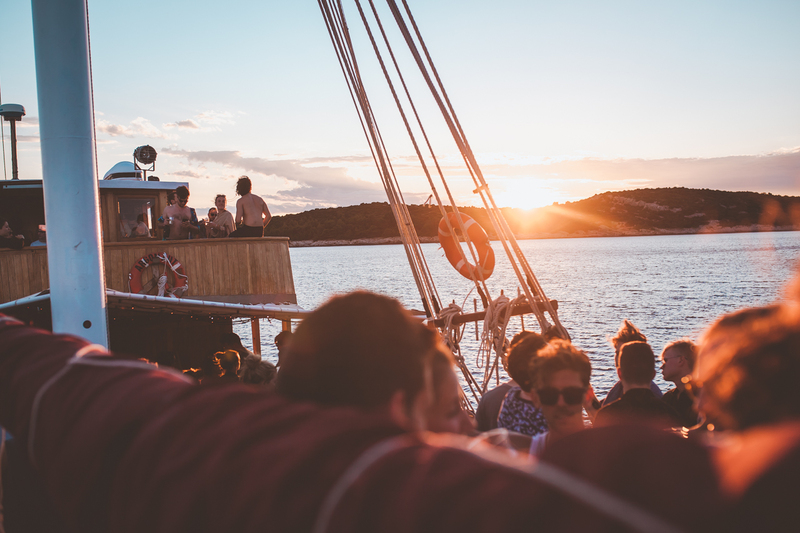 Boat parties are an essential part of any Croatian festival, and Soundwave is no exception. 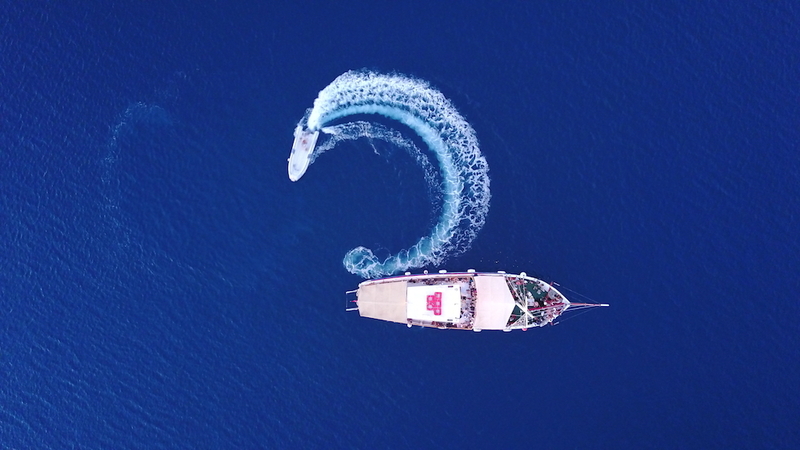 The Argonaughty is the original party boat for Soundwave, one which has already hosted many voyages over the past 9 years on its hallowed decks. 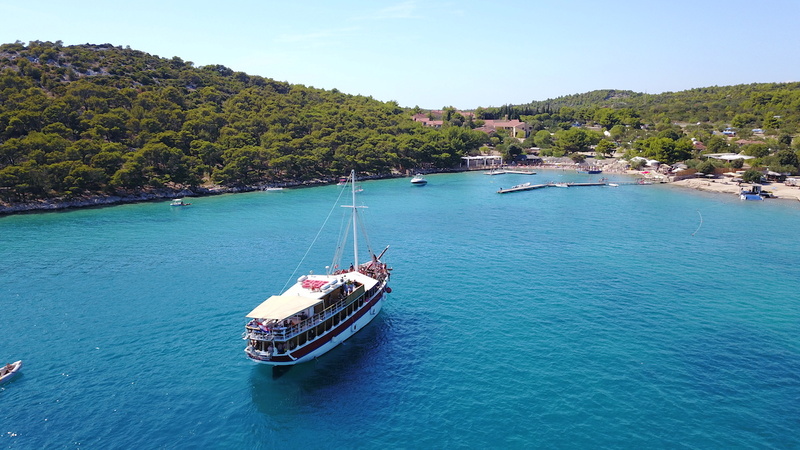 This vessel will also be used for this year’s boat parties – and this last series on the twinkling Adriatic waters promises to be extra special. 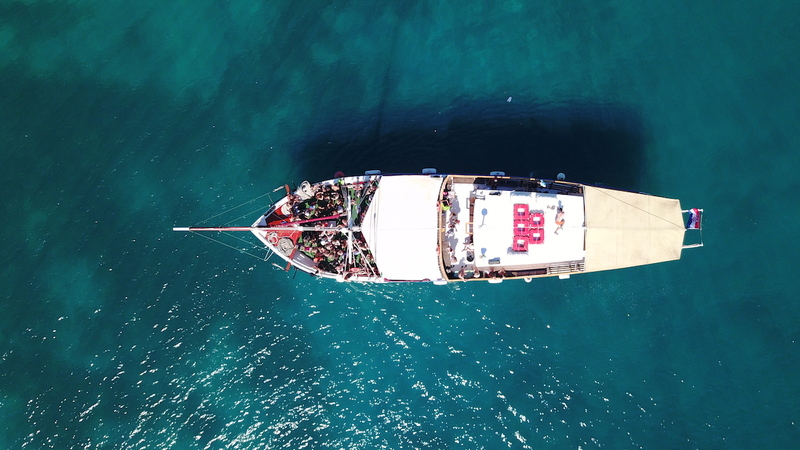 Taking place across the afternoons, evenings and deep into the balmy nights, the boat parties are a magical and intimate few hours shared with like-minded people from around the world. Tickets for each boat party cost £22/€22.50 and can be bought here: http://bit.ly/sw18boatparties. Check out full details on the official website www.soundwavecroatia.com. 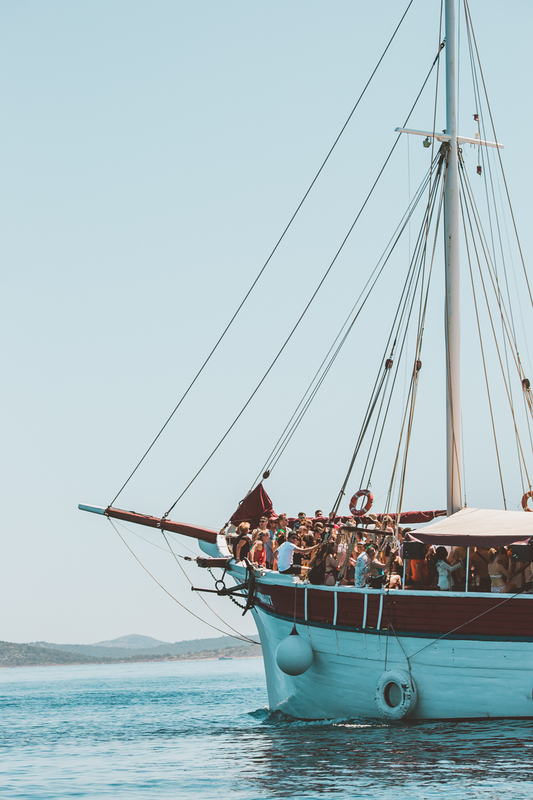 If you’re heading to the wondrous Love International this summer (27th June – 4th July), here’s the festival update that you’ve been waiting for – details of the Love International boat parties! 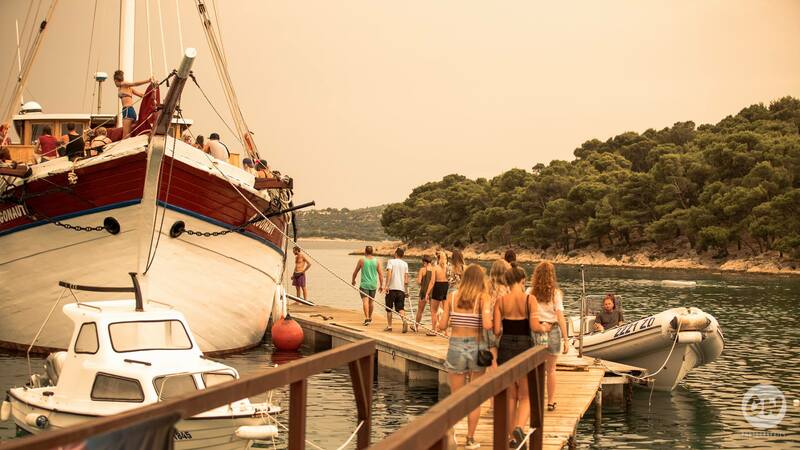 20 boat parties have been revealed, with a number of new crews joining the festival for the very first time along with many experienced hosts returning. 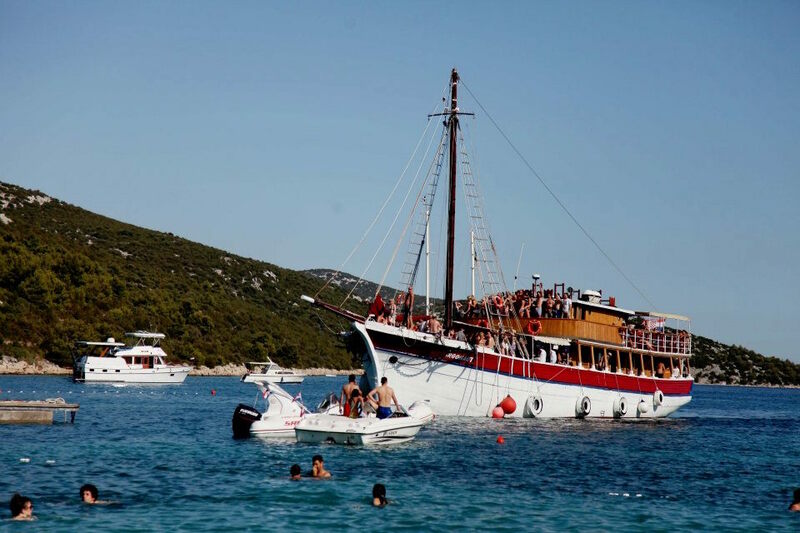 These boat parties will be setting sail on the sparkling Adriatic Sea afternoon, evening and night, aboard the legendary sea dogs Argonaughty and The Martina. 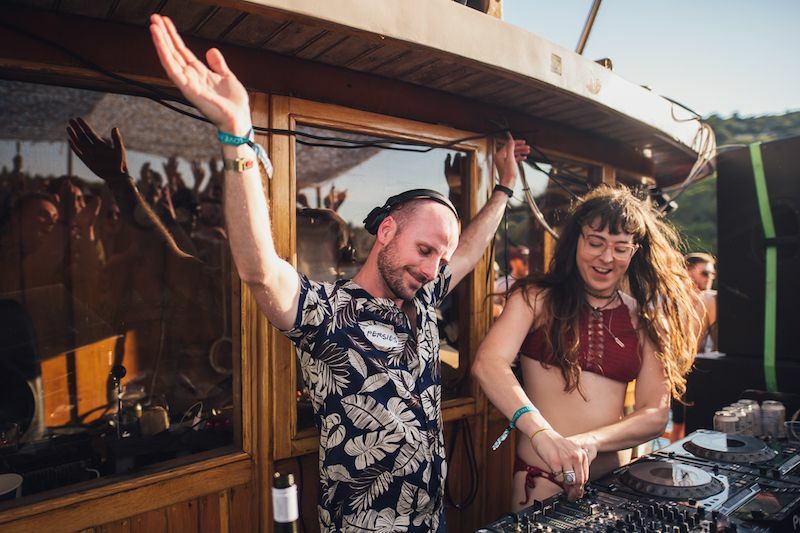 Argonaughty made its debut voyage way back in Petrcane at The Garden Festival so it’s no surprise that boat parties – a few hours on the warm sea with lovely people and great music – are a key element of many a Croatian festival, and definitely so for Love International. 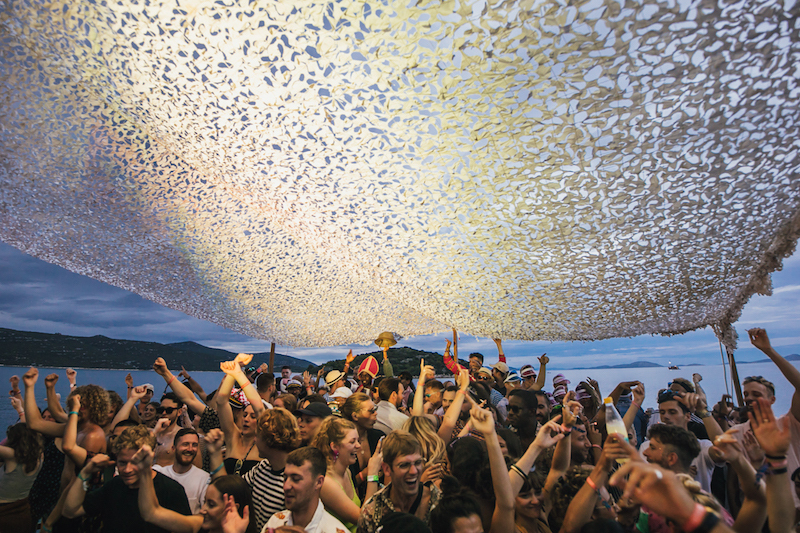 Hosted by club nights, labels and collectives who are friends of the festival, the boat parties feature everything from deep disco, soulful excursions and crate-dug gems, through to sublime house and techno and plenty of absolute classic hands-in-the-air tracks. Every voyage promises an abundance of fun where pretty much anything goes – both under the sun and the stars. Tickets for the boat parties have gone on sail this morning (Thursday 29th March) at 9am, so now’s your chance to snap them up. Quick! Tickets can be purchased at loveinternationalfestival.com. 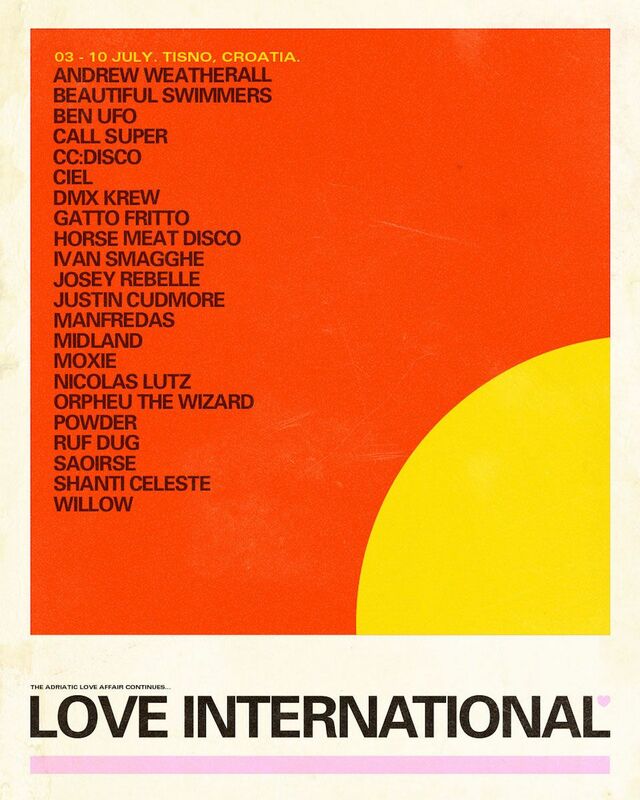 Love International also recently announced the line-up of shows taking place at the legendary on-site club, Barbarella’s. Check out the line-up here. 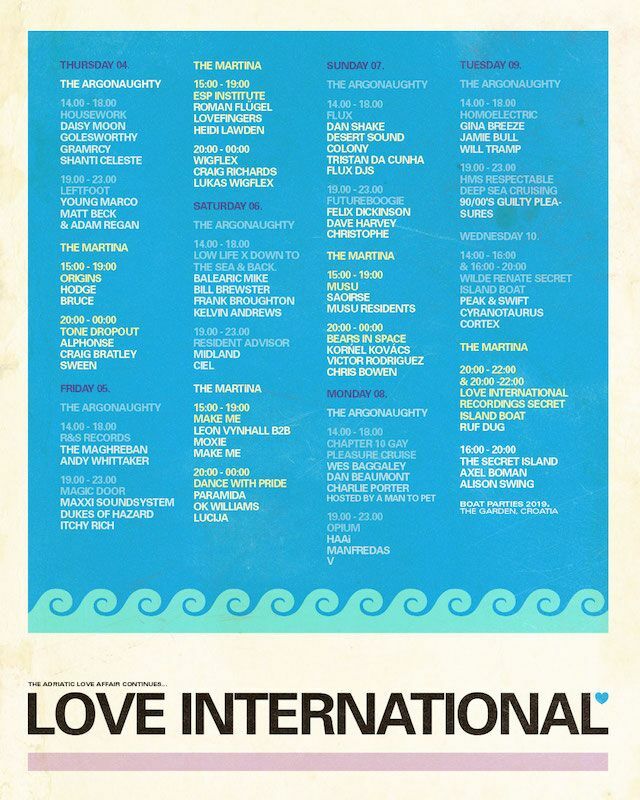 Tickets for Love International cost £135 (+ b.f.) for the full week, and club nights and boat parties are extra. Full information on Love International can be found at loveinternationalfestival.com and do also check out our guide to Love International! 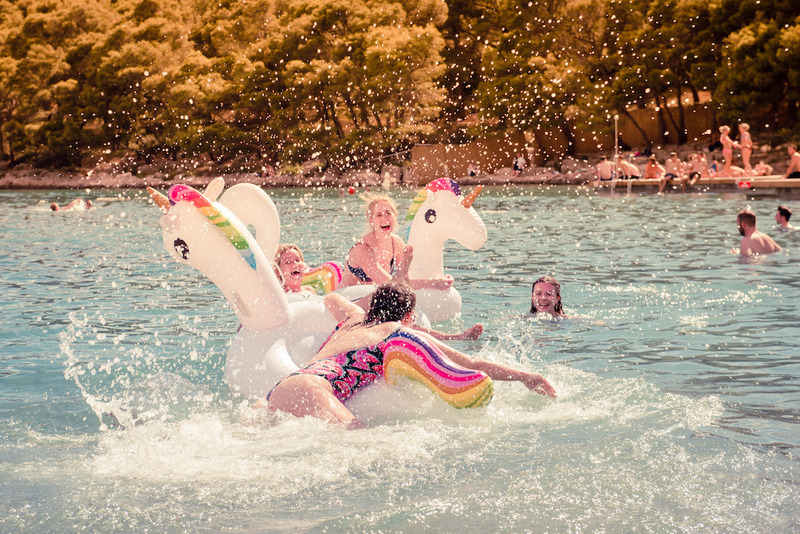 We’re sure many of you who are regulars on the Croatian festival scene – particularly those of you who head down to the gorgeous shores of Tisno each summer – were devastated by the news that Soundwave 2018 will be the last edition of the festival. But here’s something that will brighten up your day – the full Soundwave 2018 line-up reveal! Taking place from 26th to 30th July, Soundwave 2018 will conclude what’s been an epic odyssey over the years. As ever, the event will allow festival-goers to savour some of the world’s finest live artists and DJs from across broken beat, reggae, afro, acid jazz, hip-hop, soul, funk, drum and bass and much more. 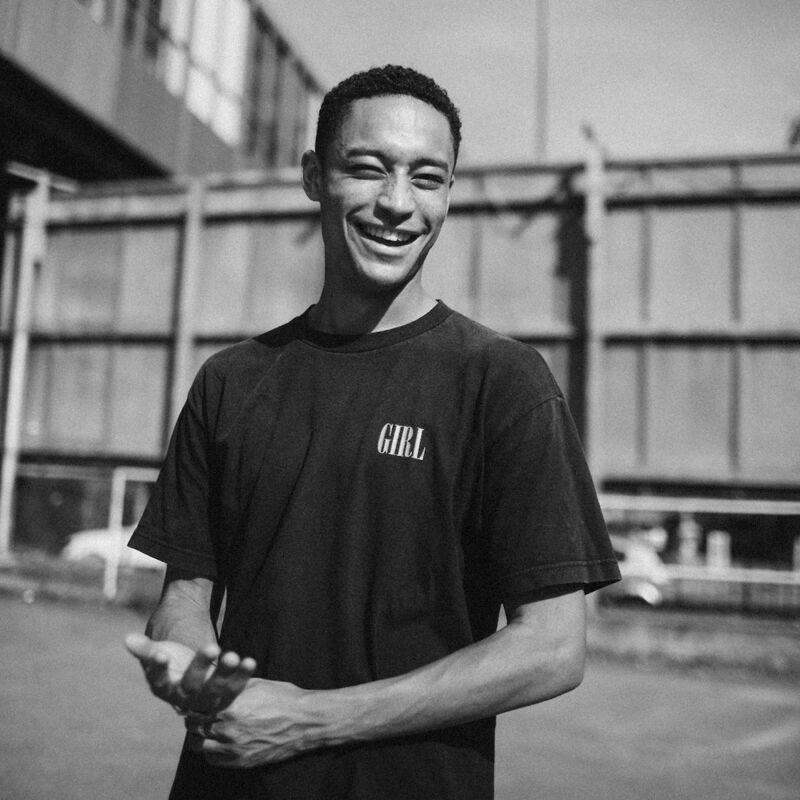 Headliner Loyle Carner is the sensitive, seductive and soulful rapper who captures much of life’s magic through his beautiful vocals; he is one of the most intriguing figures in music and makes his scintillating debut at Soundwave. Then next up there’s Mr Scruff, a long-time friend of Soundwave and a revered genre-skipping genius whose musical knowledge has no rival. 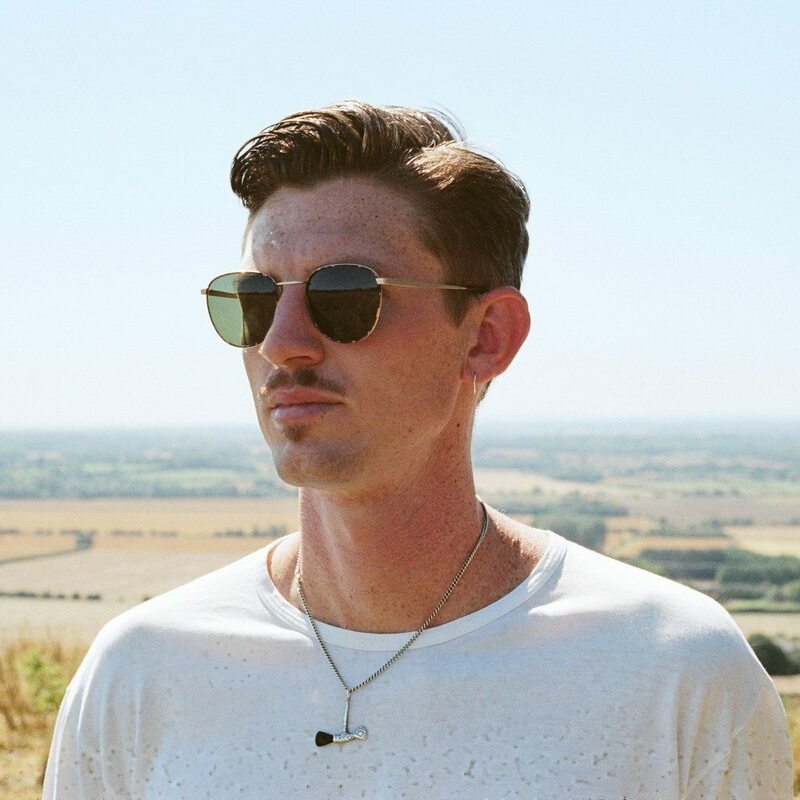 Segueing from jazz and blues to disco and psychedelic sounds, Romare touches down in Tisno with his full live band, and Jordan Rakei has a soulful, jazz and hip-hop driven sound – the multi-instrumentalist, vocalist and producer is a rare talent who continues to transcend genres. In demand the world over, but elusive and selective in his bookings, Calibre simultaneously captivates a crowd and moves every dancefloor. Submotion Orchestra cover a kaleidoscope of electronic bass music, entrancing vocals, ambient, jazz and dub that sits somewhere on an axis between Bonobo and London Grammar. 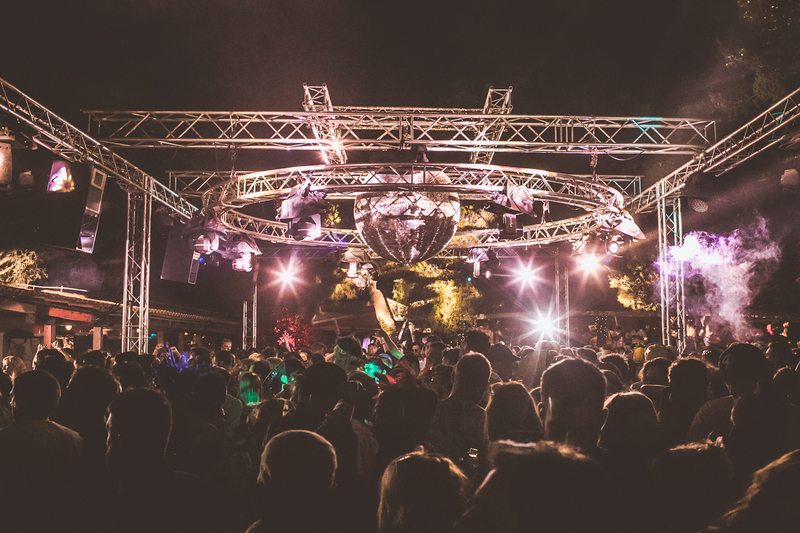 Delectable disco kings and Croatia stalwarts Horse Meat Disco bring the hands-in-the-air classics, whilst DJ Marky’s hi-energy drum and bass is a bastion of body-rocking sets. Progressive 21st-century talents in British jazz Sons of Kemet debut at Soundwave, and Channel One present their epic roots, rock and reggae show, with dubplate classics, driving steppas and bucket loads of positive vibes. One of Rinse FM’s most prized presenters, Josey Rebelle, also signs on for the final Soundwave, and perennial artist and Eglo Records’ main man Alexander Nut embodies late night futurism, broken beat and soul, and debutants 22archestra are a rhythm driven ensemble taking influences from 70s jazz funk explosion and 90s hip-hop. 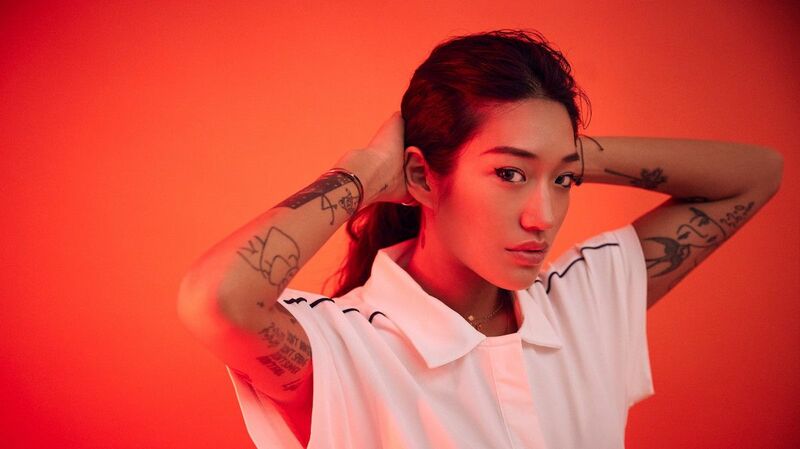 Manchester soul duo Children Of Zeus make a very welcome return, as does Anchorsong who crafts his beguiling electronic music completely live. Riot Jazz love to stir up a hot-pot of peace-lovin’ aggro-jazz and re-interpreted dancefloor bangers, and the honey-voiced Yazmin Lacey has been fusing her love of hip-hop, jazz, Motown and electronics to sublime effect. Further guests joining the final Soundwave include Al Dobson JR, Tenderlonious, Kaidi Tatham, Chunky, Agbeko, SNO, Desta Haile, J-Felix, The Natural Curriculum, Rhi, Jonny Dub, Rich Reason, Loz Goddard, Mica Millar, Church Of Sound, Total Refreshment Centre, Cheeba, Trout, Rogan, Harri Pepper, OnTheCorner Soundsystem, Pareidolia, Bane, Danny Drive Thru, DJ Gilla, DJ BobaFatt, Paul Jonas, DJ Mo Fingaz, Danuka, Carlton, Siofra McComb, Jamie Nelson, Ruari TT, Capitol 1212, Crums, Miguel E, Tappa, Manu & Ando, Tripitaka, Defenders Of Style, Reform Radio DJs, Gerard C, Chris BusyFingers, Bloom, DJ Dirty Freud, Chris Welch, Tom Central, Mikey J, Boston, BT3K, Budrat Records, New Era Reggae Sound System, Origin One, DJ Sherrine, Dru Skillz, Tim Hinson, Catching Flies, Binks & Lize, Barry’s Here, Flow Theory, Indus Traps, Kin Klave, Lausse The Cat, Si Tew, Lou Ellis, Dragana and Spider Jaroo. All the usual favourites of Soundwave will be in action for its last edition. 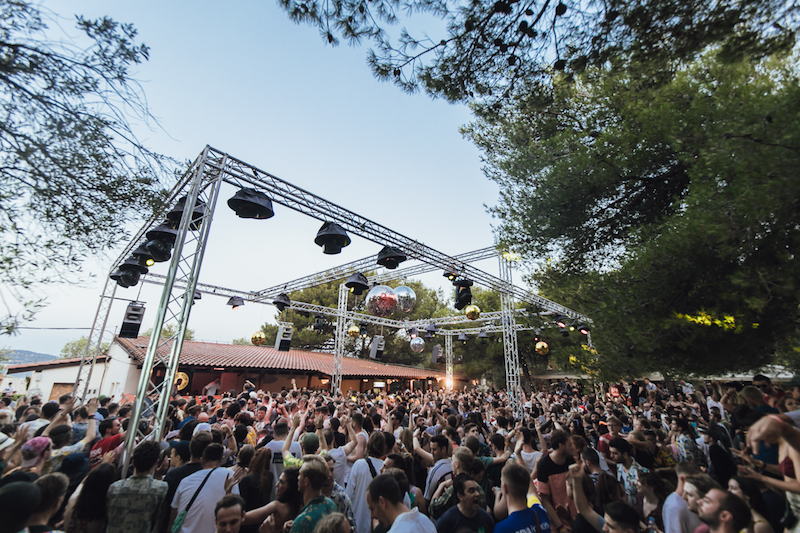 As well as the iconic waterside Beach Bar, the stunning shaded Olive Grove, the larger Main Stage in the centre of the site, there’s also the incredible boat parties, and the world-famous fully-open air club Barbarella’s. The festival site is in the gorgeous Adriatic town of Tisno, which features lots of great food and drink in wide variety of restaurants and bars. along with lots of accommodation options. There are plenty of secluded places to relax by the crystal-clear waters dotted around the town and along the coast, for those looking for a bit of chilled downtime. And the historic cities of Zadar and Split are close by, as are the stunning Krka National Park and many Croatian islands – there’s plenty of opportunity for some off-site exploration. The second release of tickets for Soundwave are available, priced at £119. There’s also a limited amount of ‘group tickets’ (5 tickets for the price of 4) for £476 – that works out to just £95.20 per ticket! Tickets can be bought at www.universe.com/soundwavecroatia2018. Check 0ut full details on this amazing festival on the official website at www.soundwavecroatia.com. What are you waiting for – snap up some tickets today, and join in the final year of Soundwave’s festivities! 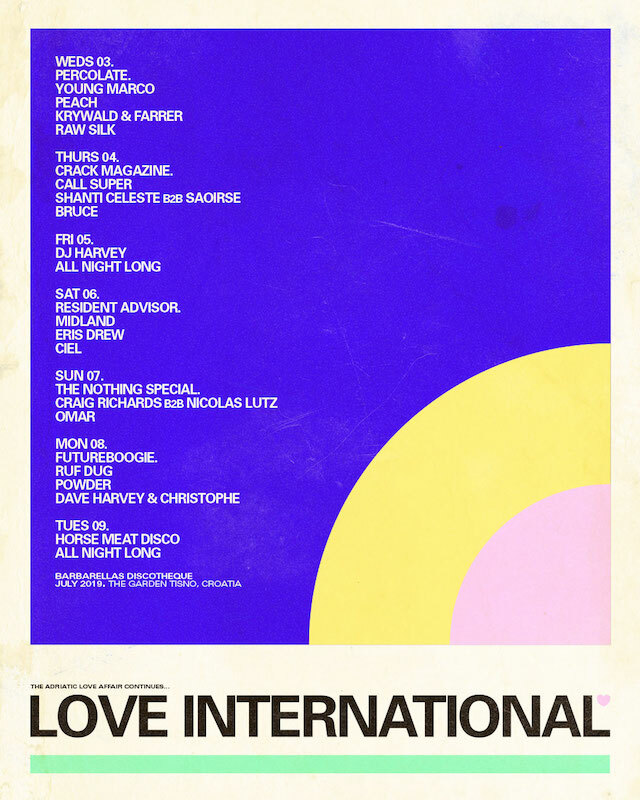 New year, new Love International line up reveal! 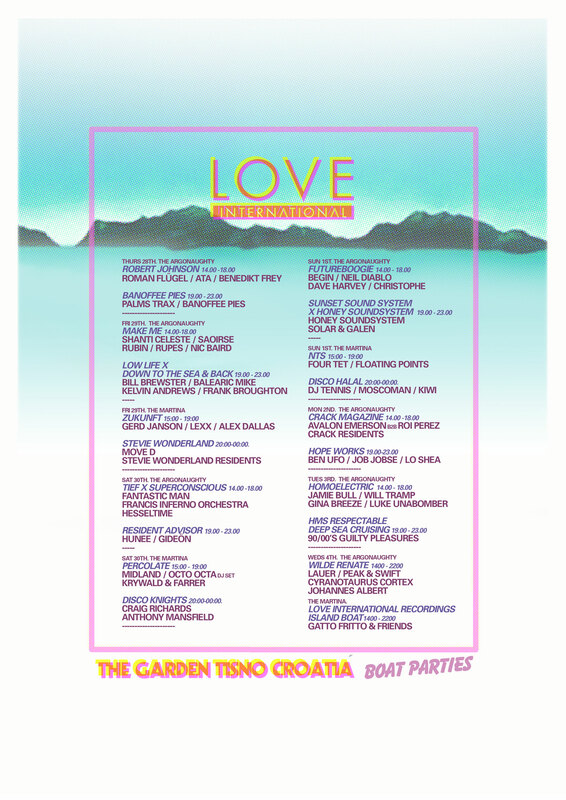 Barely any time’s gone by since Love International unveiled the first wave of acts that will be performing at this summer’s festival – which will take place in Tisno from 27th June to 4th July. And now, the festival has announced the latest set of very DJs, producers and more that will be appearing at the third edition of the festival. The 2,500 revellers that will descend on the gorgeous festival site this summer are truly in for a treat! 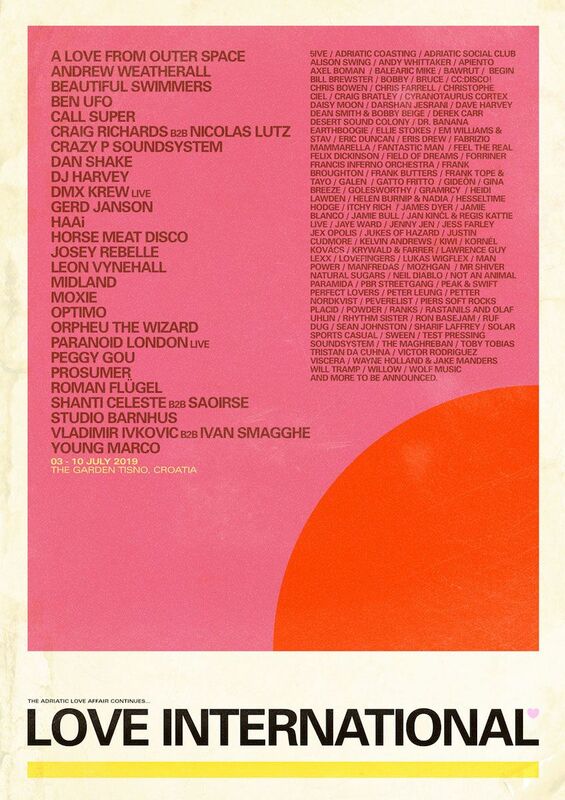 Perhaps most exciting of all is the news of the debut of some incredible DJ sets. First up, Four Tet is quite simply one of the world’s finest electronic musicians, spanning pure formed dance music to the scintillating eclectic strands which surround it. Likewise, fellow aural experimentalist Floating Points also transcends genre, weaving through jazz, classical, soul and broken-beat influences into house and techno, a cerebral sound scientist who enervates, educates and entertains in equal measure. Hunee, one of 2017’s most in-demand DJs, segues through delectable disco and soulful to jackin’ house excursions, infused with fizzing energy and the mark of crate-digging endeavour. And Bicep know a bit about crate-digging, too; the mercurial duo are widely regarded as two of the finest DJs and producers of the electronic era. But there’s plenty more exciting line up news besides! Love International regular Midland lights up the festival each and every time he appears. 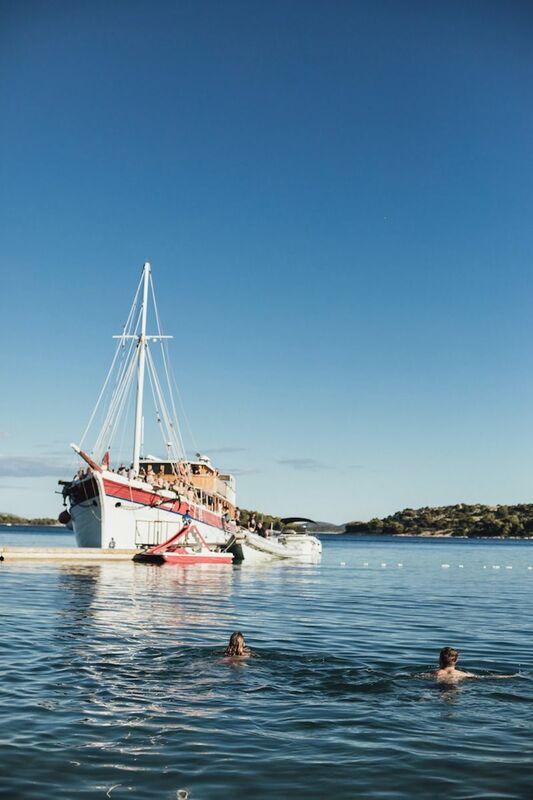 Three of the finest exponents of house and disco, Gerd Janson, Young Marco and Horse Meat Disco will be in Tisno this summer, with each really epitomising the sunshine energy of the festival. Life and Death founder and Love International debutant DJ Tennis is next, the Italian icon working with Tale of Us and Mind Against and he is an esteemed label A+R, producer and DJ. Then Palms Trax makes a very welcome return after last summer’s scintillating boat party, the Berlin-based artist a regular at Panorama Bar, Concrete and De School. And fellow Berliner Call Super is another outstanding young DJ and producer, linking together cultured house and techno. Standard passes for the week long festival cost £135 (plus booking fee) and can be purchased here: loveinternationalfestival.com/tickets.